This photograph was taken from the perfect spot on the Millennium Bridge which enables you see the new Infinity Bridge, with the Transporter in the left hand arch and the Newport Bridge in the right hand arch. Photograph and details courtesy of Alan Flattley. Roy Buchanan may be interested in downloading the electronic version of the Institute of Civil Engineers brochure on the “The Bridges of the River Tees”. It was written by Charles Morris, an experiences professional engineer who has been involved in many local projects. 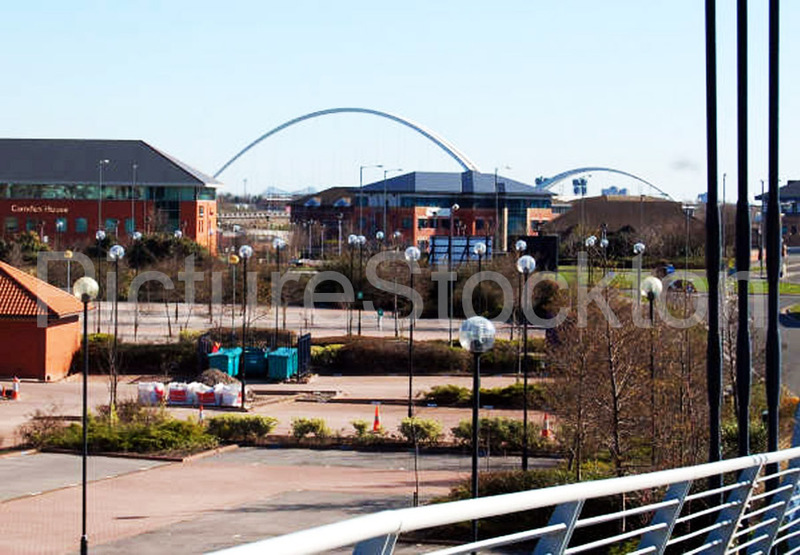 The local authorities would like to have a road bridge further downstream than the A19 crossing, but the need for a high elevation over the river and very flat terrain on the north and south sides side of the Tees would mean an the building of extremely expensive elevated sections, several miles long. The alternative, a tunnel, would be even more expensive, especially in view of the poor ground conditions. Fred, There is a tunnel under the river, the ICI service tunnel to Wilton works. It contained pipework and cables to transfer material from one side to the other making the need for Tanker traffic on busy roads unnecessary. Most of the land on both sides of the river were once salt marshes, it is continually on the move, the A19 bridge has had many repairs since it was opened. The huge buildings on the ICI complex had special founds and yet we still had to jack them up and backfill as sump holes opened. The bit that makes me smile as I walked across those bridges was the fact none of them would have been built had the “why do we need it how are we going to pay for it brigade” had got their way. I was there when the first of the Walkway bridges opened and the people coming across said wonderful it only takes five minutes to the shops instead of a bus ride. Having crossed them all I cannot see how we would have managed without them. If the Port area gets larger there will be a need for a further bridge taking traffic directly North and it could happen in the time I have left before heading to the Great Parade ground in the Sky. A very good shot with four bridges. There were only two when I left Stockton in 1963, I must return soon to see the new ones. Thank you Alan.